themodelking This seller consistently earns high ratings from buyers, thanks to fast shipping and excellent service. 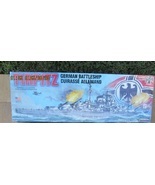 if you like model kits well I have them all from car, airplane, tank, truck, ship, science fiction and space kits. looking for a certain one email may just have it. 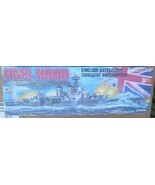 also open for all reasonable offers on all model kits. Payment by paypal (must have a confirmed address) or a POSTAL MONEY ORDER ONLY. "No other types of money order will be accepted". Item will be sent within 5 business days after payment clears. If you pay by postal money order item will be sent the same day the money order shows up. Most items will be sent through the post office. Sometimes if item is to big I may use UPS.. Open for all offers on my kits..